Overview map of where and what Tom & Natalie got up to this week! Natalie and Tom drove down to Emu Park, which is a small town on the Capricorn Coast in Queensland, Australia. It is a popular tourist spot with its great beaches and view of the Keppel Bay and the Great Keppel island. 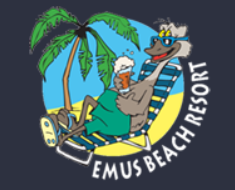 They checked into the Emu Beach Resort, which is a budget-friendly resort with private beach access, swimming pool and pool bar. They were taken on a day tour by ferry to the Great Keppel Island. On the island they got to enjoy the beaches and snorkel by the reefs. Back on the mainland, it was time to visit another popular attraction in the Emu Park area – the Koorona Crocodile Farm! Holding a baby crocodile and witnessing the feeding of crocodiles, are some of the things you can do at the farm. The journey continued down to Hervey Bay where Natalie and Tom got on the ferry to Fraser Island. Fraser Island is a world heritage site and the world’s largest sand island. They checked into Kingfisher Bay Resort, where the Duke and Duchess of Sussex had their royal visit just a week before, so they knew they were in for a royal experience! Fraser Explorer Tours took them around the island and they got to see the famous dingoes, shipwrecks, and hike through the only rainforest in the world which grows on a sand island. They stopped for a swim at Lake Mckenzie, one of 40 perched lakes on the island, which water is so pure that it is unsuitable for many species. Air Fraser Island took them up for a scenic flight around the island and then landed back on the beach. Fraser Island is one out of two places in the world where you can take off and land on a beach. All of these experiences were done in one day! After enjoying two days on Fraser Island, Natalie and Tom jumped on the ferry and continued down the coast to Noosa Heads. 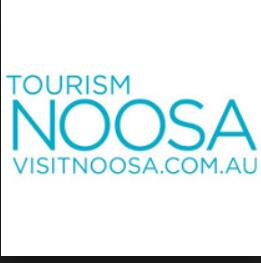 Noosa Heads is known for its national park, beautiful beaches and shops on the main street, Hastings street. Natalie and Tom checked in and enjoyed dinner at the YHA Noosa Heads, which is a National Trust and Heritage Listed guesthouse from the 1880s. 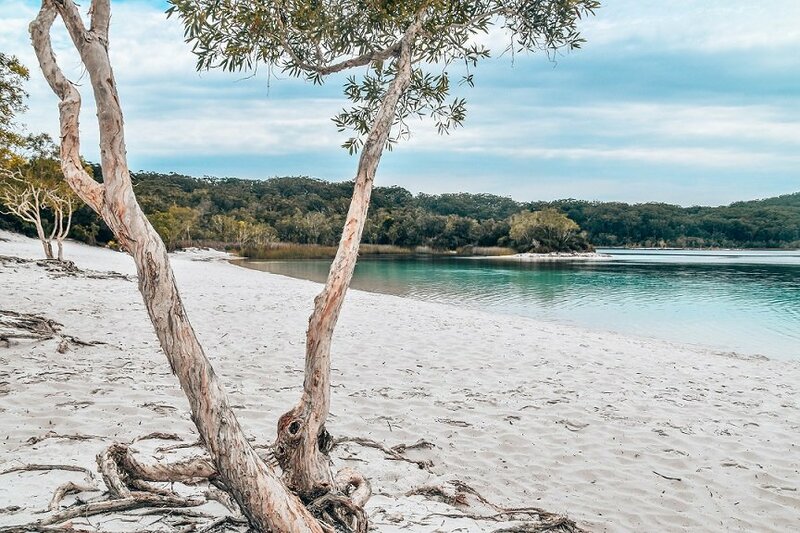 The next day, Tourism Noosa welcomed them with an exciting program of activities to do in the area, and first up was a scenic bike ride along the beaches with Ecotekk, on electric bicycles. They explored the Noosa Heads National Park, and Natalie took a dip in the famous Fairy pools, before enjoying some lunch at Noosa Heads Surf Club. The next morning, it was time for another adventure, with Kanu Kapers Australia, which was a guided kayaking tour in the Noosa Everglades. The Noosa Everglades is actually one of only two everglades systems in the world, the other one being the famous everglades in Florida. Unlike the everglades in Florida, there are no alligators in the Noosa Everglades. Back in Noosa Heads, Natalie and Tom dined at the El Capitano Pizzeria & Bar on Hastings street, and later sipped on some cocktails at the Koala Bar Noosa. They also joined a craft beer tour, organized by Sunshine Coast Craft Beer Tour. 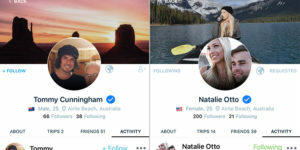 After two days in Noosa, Natalie and Tom made their way down to Brisbane and the Gold Coast, which you can read about in our summary of their 4th week. Stay tuned! Tom is from country Victoria and currently living in Sydney. He recently returned from a trip to Utah in the US. Tom is a great photographer, videographer and drone operator, so he's looking forward to capturing some amazing footage for your all t o share across your socials as well. Make sure you check out some of his footage he shot from Kokoda and PNG for taste of whats to come! Natalie is from the USA but has recently moved to Melbourne! She is a former TV news reporter in the US so she is certainly comfortable in front of the camera telling her stories about the adventures with you all. She is also an avid video producer and videographer as well, so you can expect some interesting edited videos from Natalie at some point a long the journey when they get a break! THANKS AGAIN TO OUR MAJOR COMPETITION PARTNERS!